My cousin is expecting a baby boy this fall and what a perfect reason to make a baby quilt. 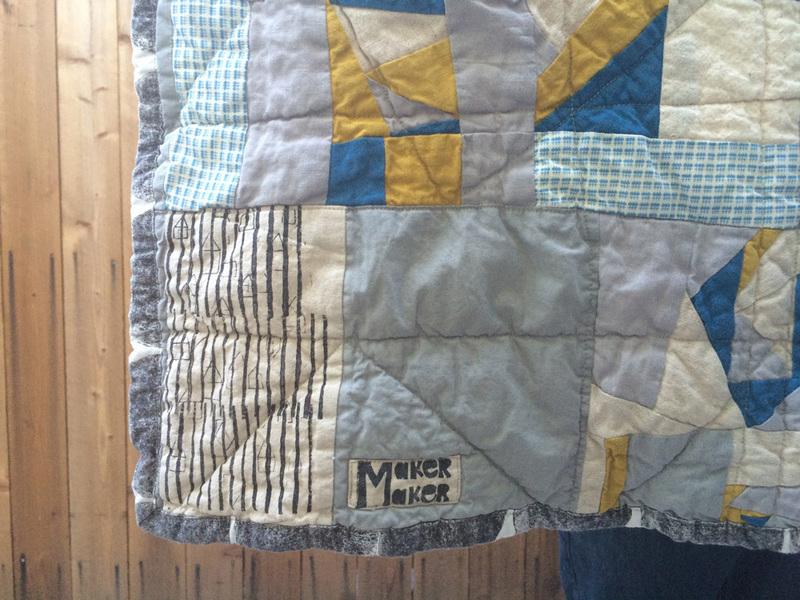 I love the freedom, uncertainty and artistry of improv quilting. I used linen and cotton scraps, fabric I block printed and hand painted fabric. The binding is made of block printed off cuts and since I didn't have quite enough, the pop of red on the right side was a happy accident. The backing is organic double gauze, which is my favorite quilt backing.